Convert any document into a stylish digital publication with flipping pages. LotDOC users call this type of publication a flipbook, a flip book or just a flipping book. Only a professional flipbook creator can make your publication look perfect on any desktop computer, iPhone, iPad, Android phone or tablet. Don’t mix up a hash house with a premium restaurant – the signboards may look the same, but the meals and service inside are completely different. Choose wisely. A perfect look for your digital flip book and professional digital publishing. Our market research shows that people are becoming less impressed with a simple page flipping effect. Readers are becoming much more "digitally tempted". Nowadays, a flipbook has to be truly realistic with great functionality to create real reader engagement. 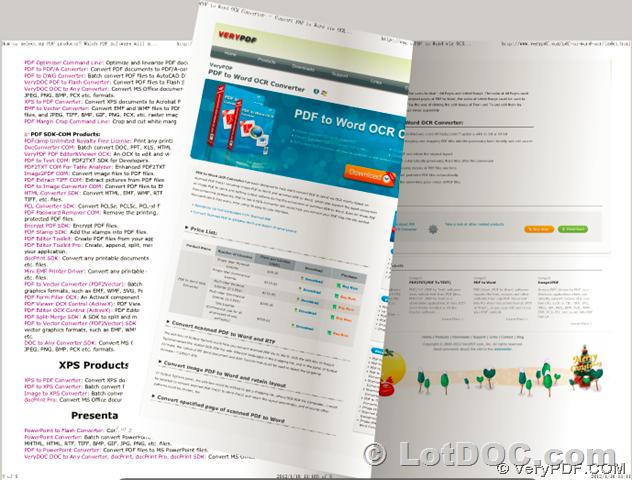 All LotDOC digital publishing solutions have been created and are being constantly developed exactly for this purpose. Thanks to LotDOC, you don’t need special programming skills to create modern and beautiful flipbook that is easy to use. Get LotDOC Trial for free and discover its host of powerful digital publishing features.